Nollywood actress, Nazareth Jesse Bako celebrated her birthday yesterday, September 15 with lovely photos. 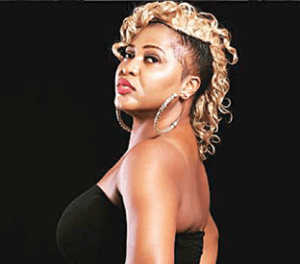 Nazareth Bako who was born in Jerusalem, is an Abuja based Nigerian actress from Kuje Area Council, Abuja F.C.T. She studied Business Administration and Management at the Federal Polytechnic, Bida and also studied Economics at the University of Abuja. Nazareth has B.SC in Economics, OND in Business Administration and Post graduate in Public Administration. Nazareth also started her acting career while she was in school and has starred in numerous movies including ‘Share the blood’, ‘Girls cot’, ‘Erak and Eran’ and many others.